Yesterday was the Super Bowl. We went to a party and brought a dessert to share. Making them was quite easy. Start with a boxed mix of your favorite kind of cake. We used devil’s food cake. 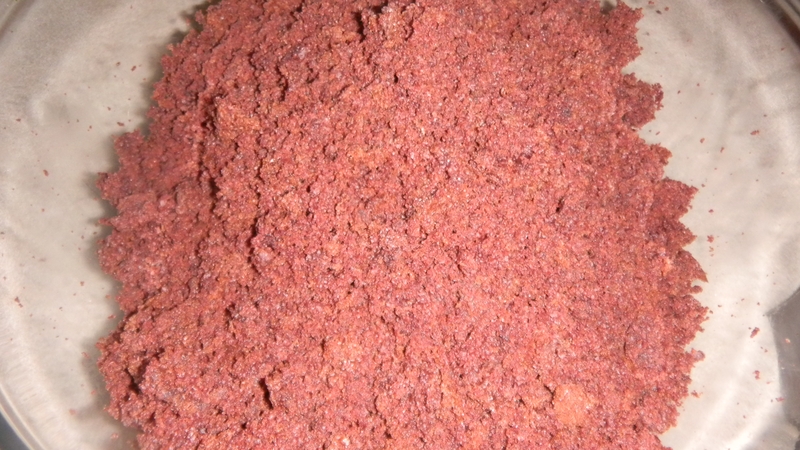 Bake the cake in a 13×9 inch pan, according to the directions. Let the cake cool completely, then crush the cake into pieces – the smaller the better. Put a whole jar of your favorite frosting into the crumbs. We used milk chocolate. 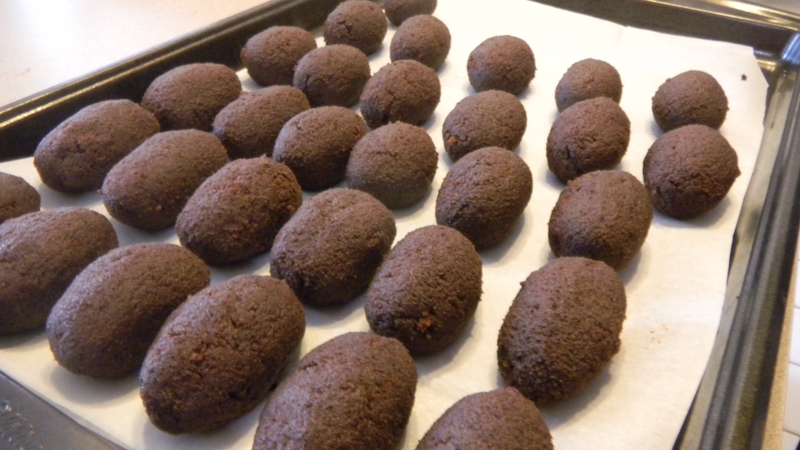 Once the frosting and crumbs are incoporated, start forming the footballs. Put the footballs on a baking sheet lined with parchment paper. Let the cake pops chill in the fridge. We left ours in for about 30 minutes before we started working with them. Heat up a bag of chocolate candy melts (we got ours at Michael’s for $2.49) and add some vegetable shortening to make a thin-ish consistency. Take a lollipop stick and dip it into the melted chocolate about an inch deep. Quickly, take a cake pop and insert the stick into it. 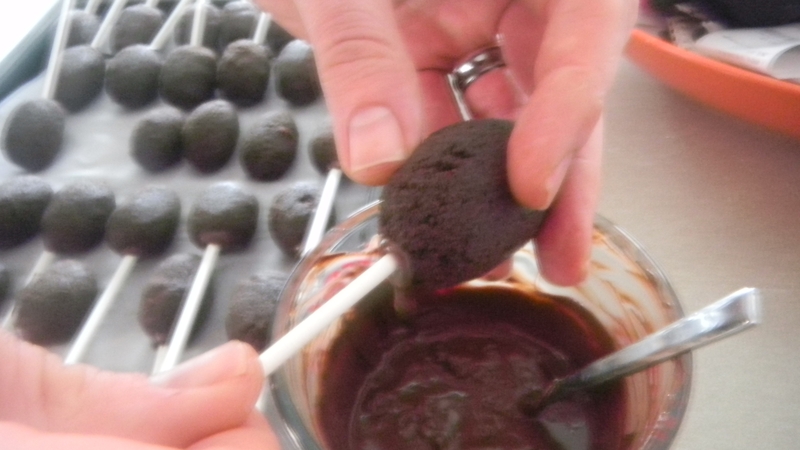 Go through all the cake pops, allowing the chocolate on the sticks to harden. We put the cake pops back in the fridge for another 15 minutes or so to let them chill. A couple at a time, to keep them cold, take the pops out of the fridge and dip them one at a time into the chocolate. Put them in a styrafoam block to harden. Once you dip all the pops, and they harden, draw on the laces. I used a writing gel pen. The gel never hardened, but if you want, you can get a kind that will. 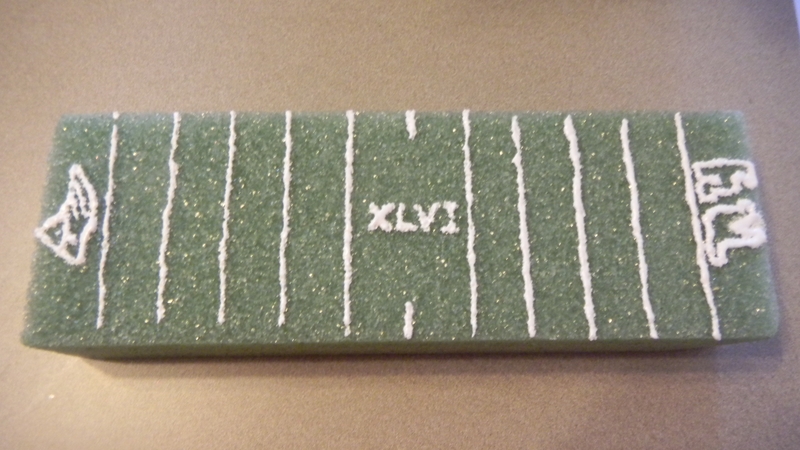 Dan went ahead and made a football field out of the green styrafoam block we used. He used puff paint to draw the yard lines and the logo for each team in the end zone. 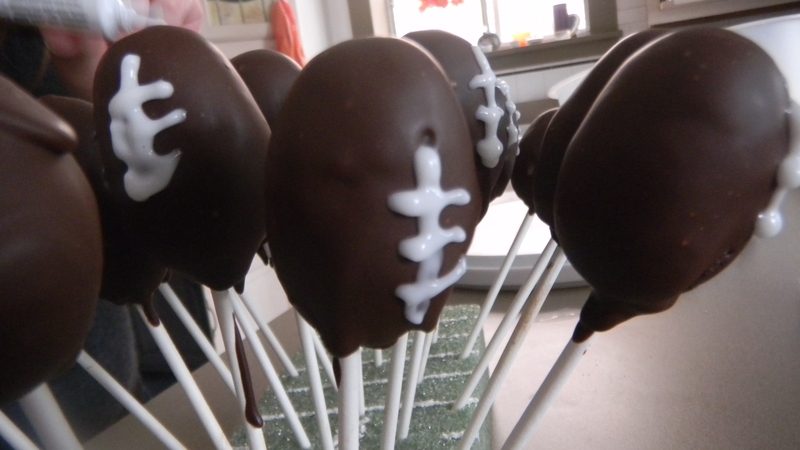 Though we made football cake pops, the procedure would be the same for regular cake pops. Just make them sphere shaped instead of football shaped. These were a big hit at the party. I see myself making cake pops again, most likely by request, in the near future. Thanks! Some of the chocolate started to crack though. Guess we know to make our chocolate layer thinner next time.